As a dancer, I started taking classes in jazz and gymnastics at the age of 9 in Long Island, NY. I participated in several performances with the Hamilton School of Dance and several school performances all throughout High School. I went on to study music, getting my B.S. in Music Education at The College of St. Rose in Albany, NY. In 2003, I began training in Cabaret Belly Dance with Body By Belly Dance in Albany, NY. In 2010, after seeing a Rachel Brice performance, I turned my focus to Tribal Fusion Belly Dance and this is where my passion lies. I perform as a soloist and I'm the co-creator of Half Moon Tribal an ATS Troupe based out of Clifton Park, NY. I also perform with Ms. Tina’s Tribal Belly Dance Co. I'm the founder of Cherish Belly Dance, which produces an annual belly dance show (Hipnotic), bi-monthly adult variety show (The Bijou) & haflas to provide a nurturing environment for the student belly dance community. ​Rachel Brice’s 8 Elements Certification Program & recently became a Certified Datura Style Teacher. I enjoy sharing my love of this art form through dancing, teaching, and participating in educational presentations. Cherish is the co-creator of Half Moon Tribal, ATS belly dance troupe, along with Carolyn Matthei and Kezia Moore. Half Moon Tribal performers: Cherish, Carolyn, Kezia, Meghan Conklin & L Lavado. American Tribal Style Bellydance, a modern style of bellydance, incorporates a blend of traditional Middle Eastern Bellydance, Romani Gypsy, Spanish Flamenco, N.African, and Indian influences and a repertoire of steps and tacit cues to create the framework for improvisational group dance that is connected and present, meditative, and brings together a group of women in spirit and community. 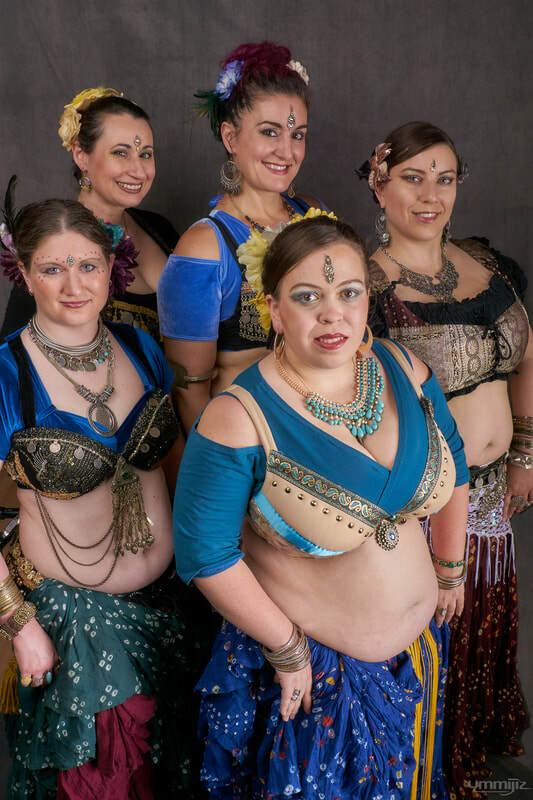 Half Moon Tribal is a professional belly dance troupe. Our troupe has performed throughout the Capital District, including the Schaghticoke Fair, National Museum of Dance Art Festivals (Saratoga), Saratoga Tattoo Expo, the Lark Tavern (Albany), Danceland (Latham), Coalescence (Glens Falls), Arthur’s Market (Schenectady), Coxsackie Riverside Festival, along with many other venues and locations.